KAMET headquarters is over 105,000 square feet centered on a foundation of precision machining and a fully integrated quality management system. To achieve success, it is most important for you to rely on your contract manufacturer to be an integral partner from prototype to production. We have established and mature business processes to ensure products are on time and made to specifications. Our capabilities beyond machining include engineering services, rapid prototyping, welding, chemical cleaning, electro-mechanical assembly, and Class 1000 clean room assembly. KAMET’s state of the art machines provide custom precision machining services for the most demanding applications. Coupled with our experienced machinists, we’re able to hold tolerances to 0.0005″ on a wide variety of metal and plastic material. KAMET invests in only the highest reliable machining equipment which include Makino 5-Axis, Okuma Horizontal mills with multiple pallets, YCM large format mill, and vertical lathes. 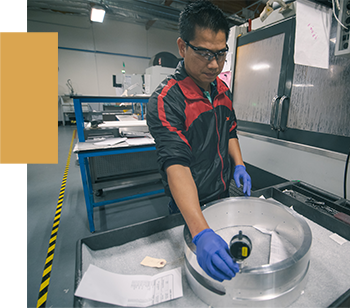 Our flexible, full service facility is capable of supplying prototype quantities to production quantities as well as subcontract post-machining processes such as heat treating and plating to fully support your entire product lifecycle. Kamet continues to invest heavily in equipment to deliver quality, defect free parts to our customers. We have 3 Zeiss CMM’s housed in a temperature-controlled environment for flawless measurement and validation. We understand that great products start with great designs – and quick turns are a part of the iterative design process to make something great in time to get to market. Whether it be a quote, a design review, or a program, let us partner with you towards a solution that will put your design on the fast track to success. Once your product proves its initial success, we can review designs to improve manufacturability and repeatability. This will reap multiple benefits throughout the lifecycle of your product. We can help define and document the ideal manufacturing process to ensure the highest quality, every time. KAMET’s NPI Engineering team brings many years of experience and provides to you Project Management, Supply Chain sourcing, POR documentation, change control, and Manufacturing Engineering for DFM, all documented and controlled by a mature Quality Management System. By offering both Cleanroom class 10,000 and class 1000, customer can choose the best solution for their product quality while keeping in budget. In addition, we offer parts cleaning to streamline cleanroom assembly while ensuring your risk for contamination is minimized. No company is successful by themselves – it takes a team of trusted partners. It’s with that mind set that KAMET manages its supply chain. Whether its agreeing on measurement methodology, teaming up to define guidelines, or training new staff, KAMET does what it takes to ensure its partners are sucessful, so that our customers are successful. 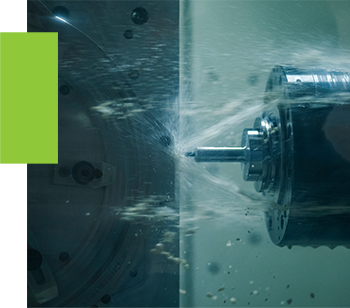 Kamet’s state of the art Mill and Lathe machines provides custom precision machining services to demanding industries such as semiconductor capital equipment, medical devices and emerging technologies. Our machines can perform many labor-intensive operations with extreme accuracy and consistency. Coupled with our experienced machinists, we’re able to hold tolerances to 0.0005 on a wide variety of metal and plastic material. KAMET invests in only the highest reliable machining equipment which include 5-Axis, Horizontal and vertical milling machines. 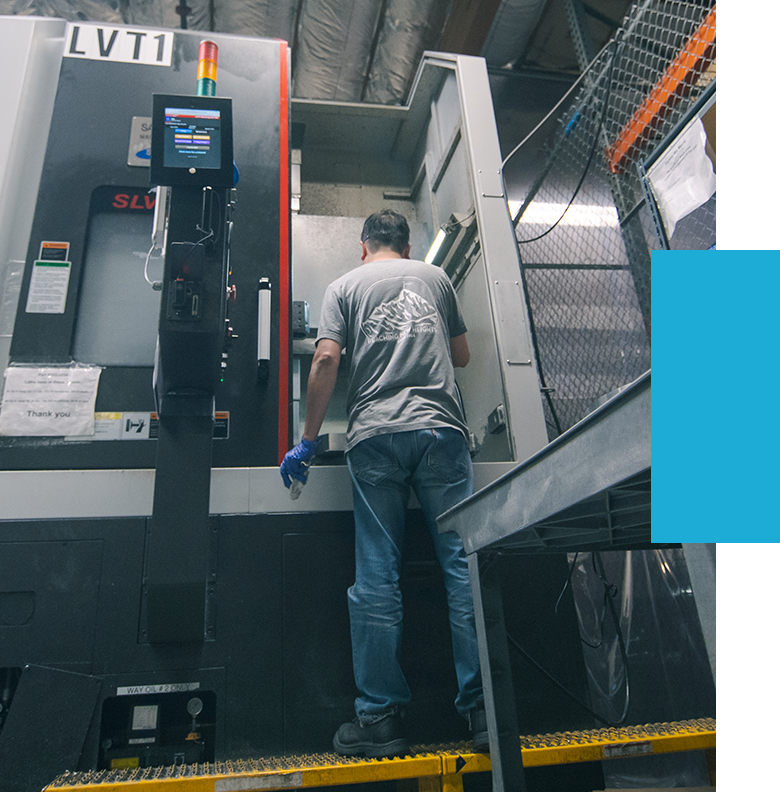 Our CNC machines are capable of turning parts up to 30” in diameter Our flexible, full service facility is capable of supplying prototype quantities to production quantities to fully support your entire product lifecycle. Kamet continues to invest heavily in equipment to deliver quality, defect free parts to our customers. We have 3 Zeiss CMM’s are housed in a temperature-controlled environment for part measurements and validation. 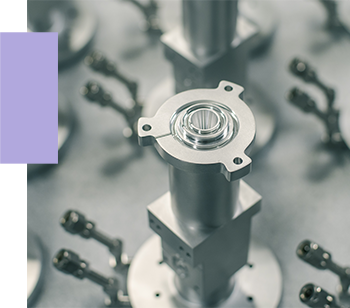 We understand that quick turns are a part of the iterative design process, let us craft a prototype manufacturing solution that will put your design on the fast track to qualification. With your long-term product success in mind, we can bring DFM expertise to your design team. This will reap benefits throughout the lifecycle of your product and help define your overall ability to meet growing market demands. 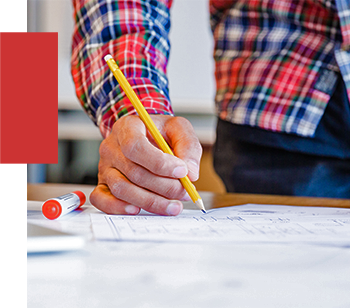 We can help define and begin documenting your manufacturing process by creating QFD, PFMEA and other documents that will pave the way for a smooth transition through your entire product’s life cycle. KAMET’s NPI Engineering team brings many years of experience and provides to you Project Management, Supply Chain sourcing, build documentation and change control and Manufacturing Engineering for DFM, all documented and controlled by a mature Quality Control/ management system.